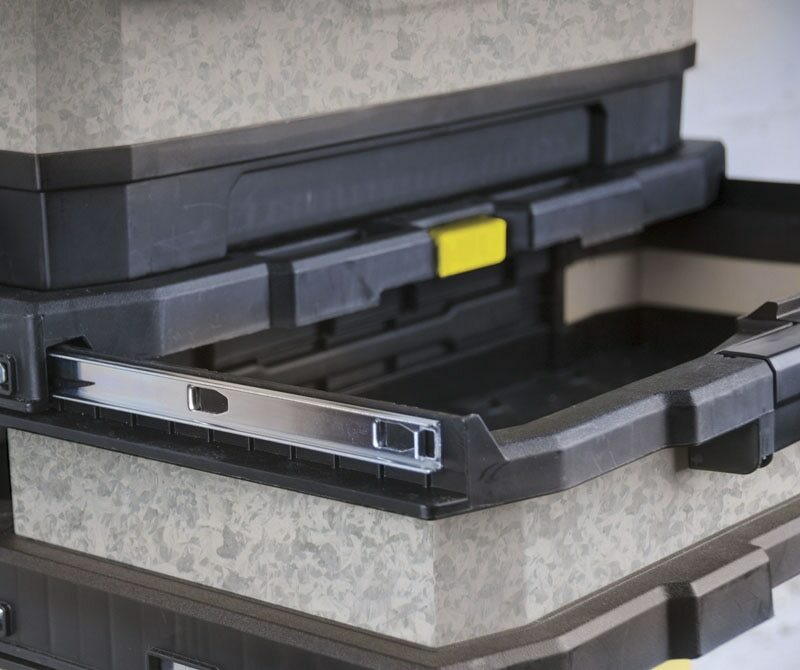 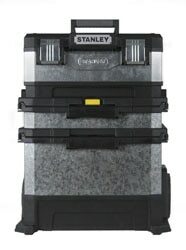 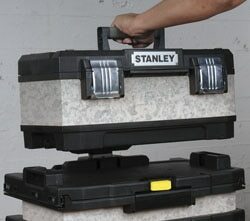 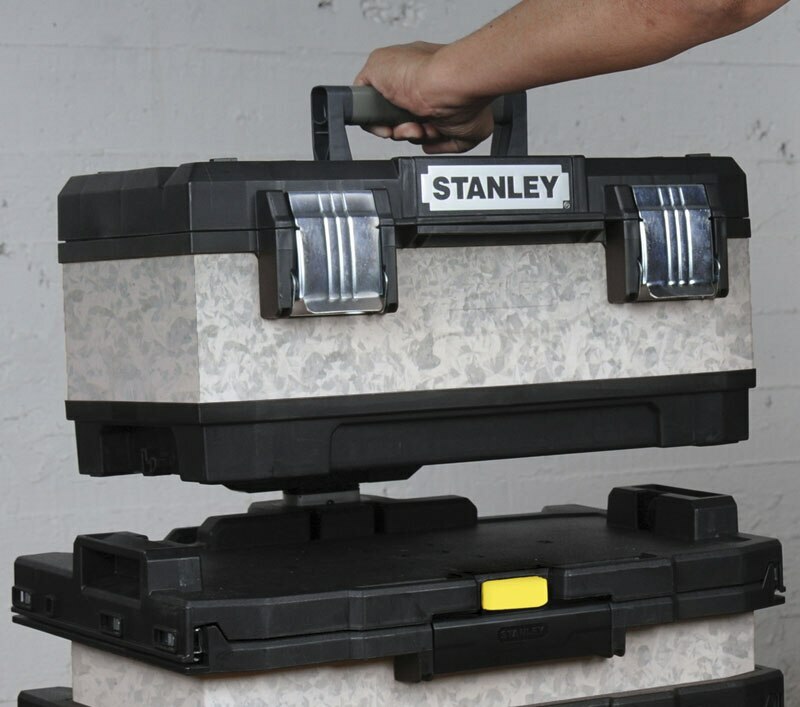 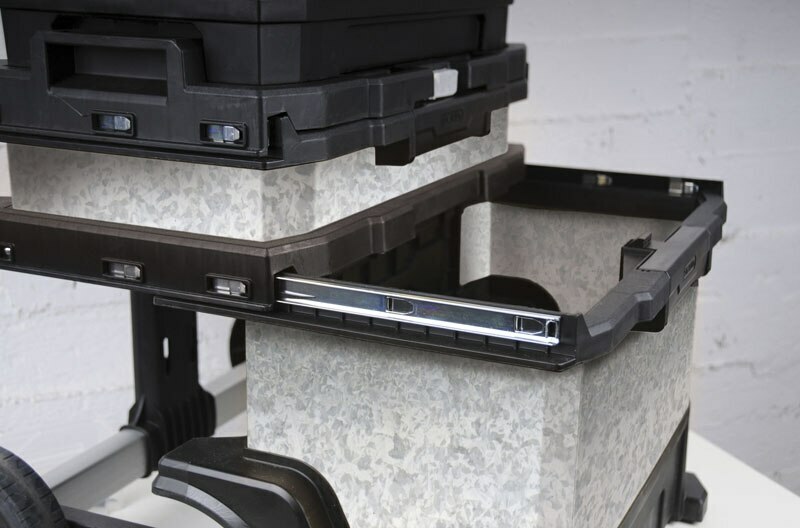 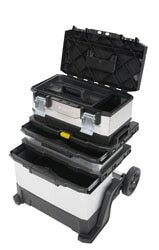 20’’ Detachable metal plastic tool box with removable tray. 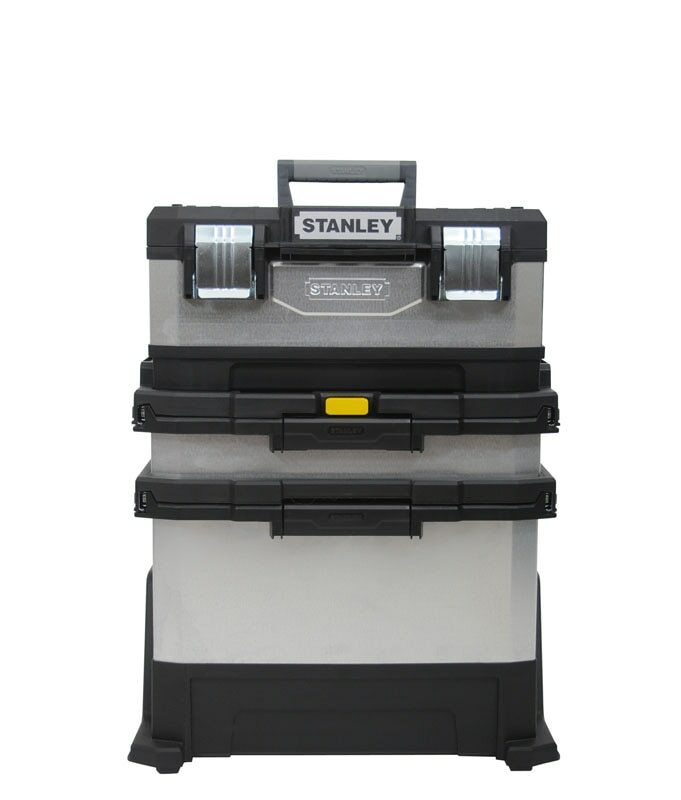 Deep 4” drawer with ball bearing slides. Large metal rust proof latches with padlock eye. 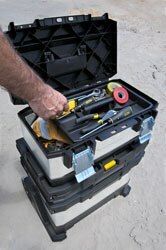 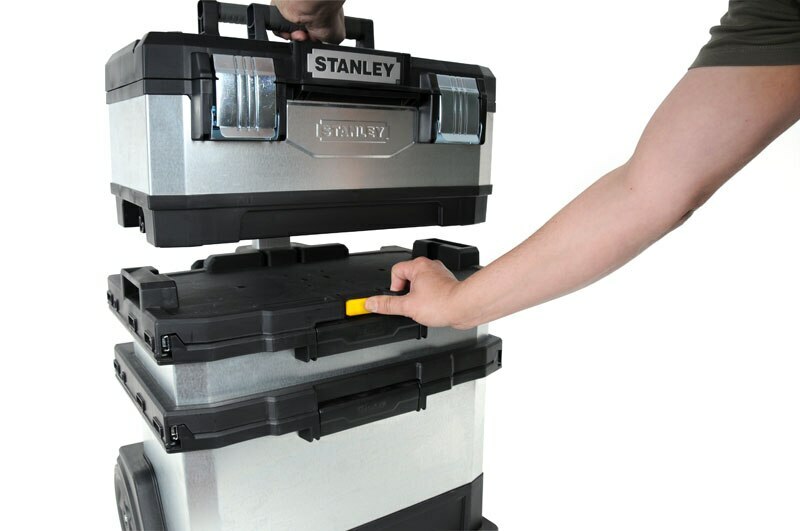 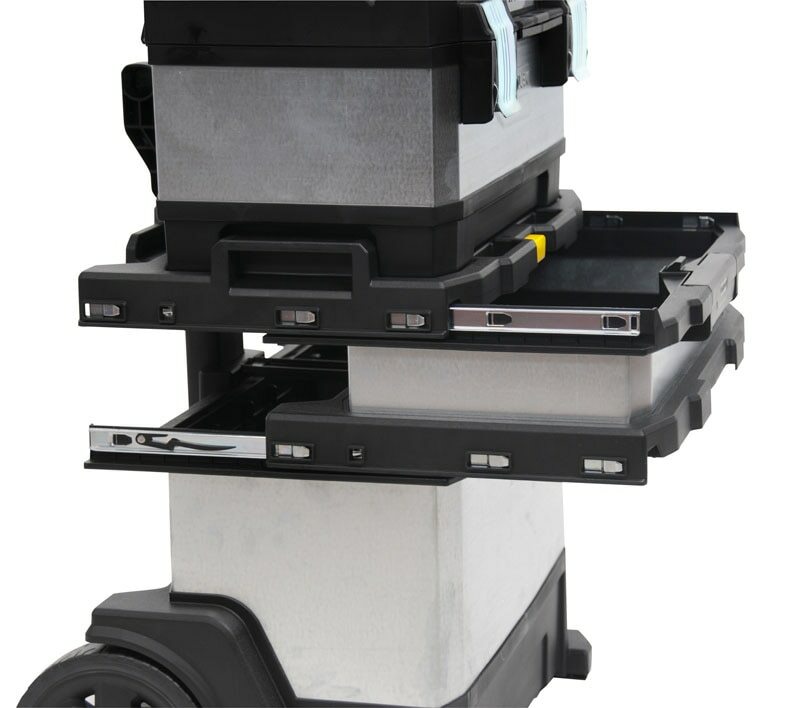 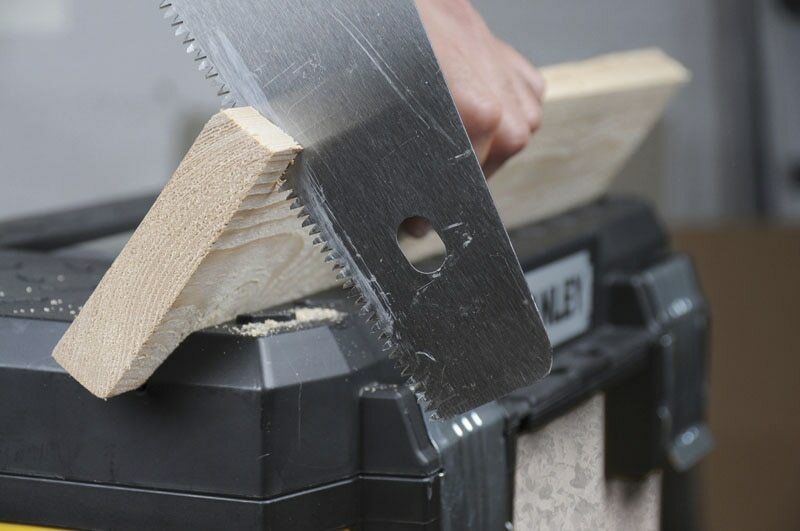 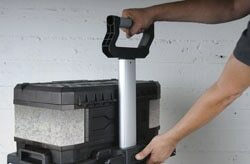 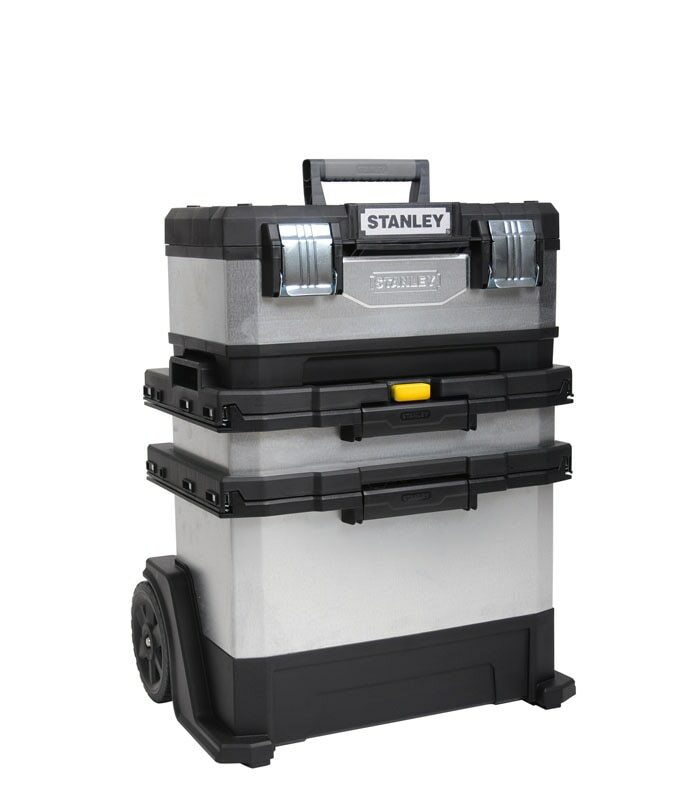 Large metal storage bin that provides extra large capacity of portable tool storage.